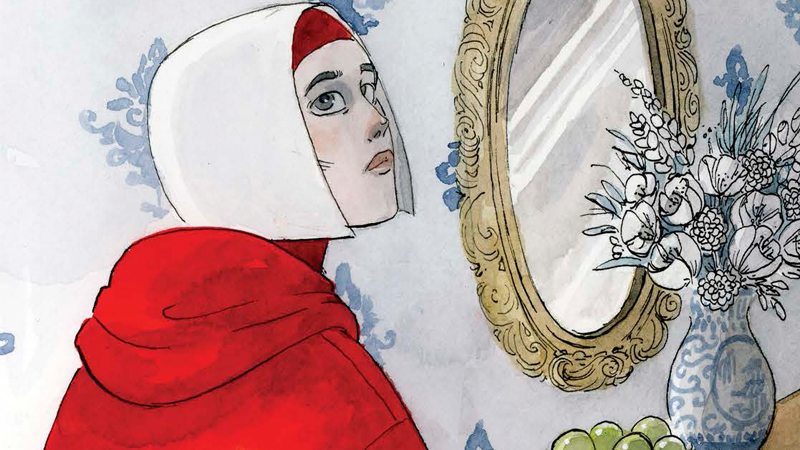 It’s Offred as you’ve never seen her before, in the new Handmaid’s Tale graphic novel. 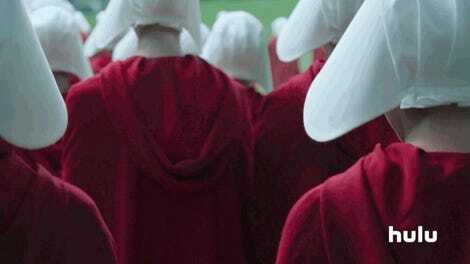 From the TV series’ upcoming third season to the long-awaited second book, The Handmaid’s Tale is everywhere in a big way this year. But Margaret Atwood’s iconic dystopian story is also getting new life as a sumptuous new graphic novel—and ahead of its release this week, io9 has a look inside. Being published by Doubleday Books, The Handmaid’s Tale graphic novel is adapted and illustrated by Canadian artist Renée Nault, and marks the first time Atwood’s novel has ever been adapted into comics form. The project has actually been in the works for years—Nault began teasing the graphic novel in 2017—but now we finally have a good look inside ahead of its wide release. The stark cover art for the graphic novel. The Handmaid’s Tale: The Graphic Novel hits shelves tomorrow, March 26.